Canine Covers Dog Bed - Complete Vehicle, Inc. The durable polycotton fabric exterior is treated to resist stains and repel liquids. Plus, the Ultimate Dog Bed's fabric "breathes" for year-round comfort. And there's no fuss, because the exterior quickly zips off for easy machine washing. The thick, high-loft padding creates a cushiony soft bed that conforms to the cargo area of your SUV or wagon. The generous 35"x25" size fits in almost anywhere. 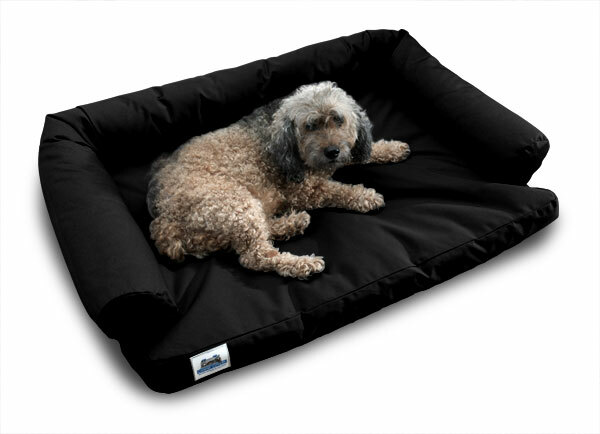 In this dog eat dog world, the Canine Covers Ultimate Dog Bed is a welcome oasis of comfort, protection and convenience.